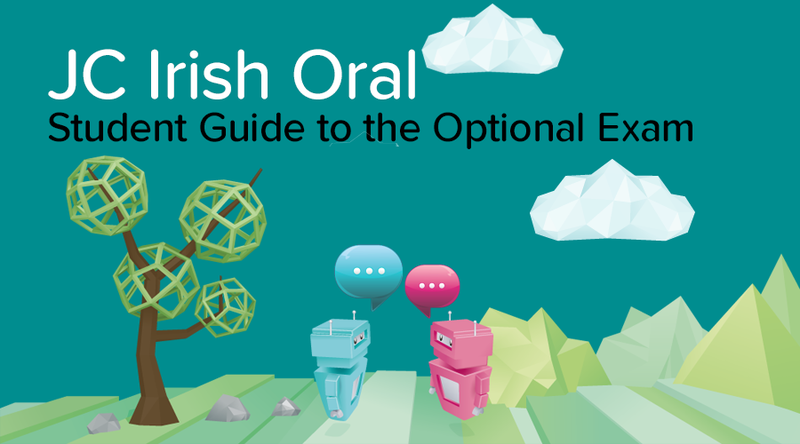 The oral option at Junior Cert is something I would definitely recommend taking – it’s easy to prep for, and will mean that you have 40% of your exam completed by June! While the idea of doing an oral now may well give you nightmares, I can assure you that by the end of this guide, you will be dead set on doing one, and doing one well! At the end of the day, the aim behind language learning is effective communication, so by doing an oral and putting to use the píosa Gaeilge that you have, you’ve succeeded! The key to acing the sraith pictiúr is practice – perhaps at lunchtime you and a friend of yours could do a mock Scrúdú Béil with some of the picture sequences. You could also have the sentences on flashcards, record yourself speaking about them, or watch videos online, such as those belonging to Miss McConnon on Youtube. She has recorded her own samples of the Junior Cert Picture Sequences and uploaded them to her channel. This section is a little harder than the Picture Sequence, but not by much. You’ll study a few notices/posters (8) and choose one at random on the day. You’ll have a minute or so to study it, and then you must ask the examiner 10 questions regarding this poster/notice - each of which will be answered by the examiner. The advice I will give you for this section is highly similar to the Sraith Pictiúr: Practice frequently, but don’t rote learn. Miss McConnon also does a great series on the Role Plays on her channel. Want some more tips on the Role Play? Click the button below to read Eve's full guide! In this section, they really just want to see that you have enough Irish to have a conversation. If you give one sentence answers for everything, it shows you comprehend the question, but you don’t have the skills to develop your answer. Having this skill really separates the grades – and it’s not that hard to acquire. All you have to do is answer the question and find a way to link it in to a topic you can talk about really well. Once again, practice makes perfect. Learn the necessary vocab to discuss different aspects of your life, and try to practice speaking whenever possible. Go n-éirí an t-ádh leat! You’ll be wonderful!